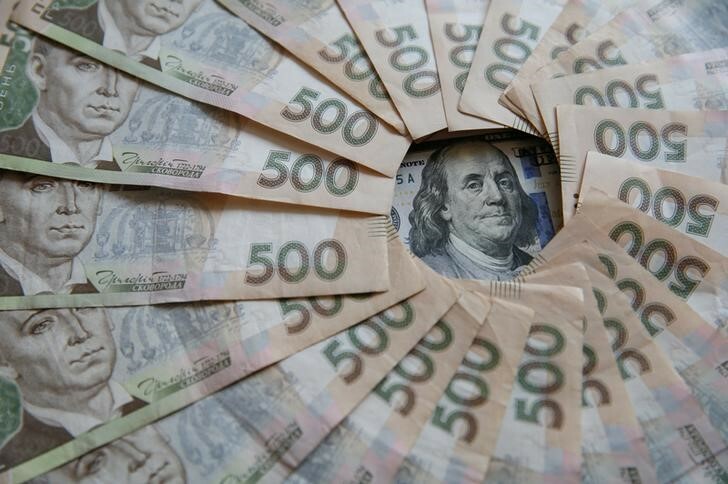 KIEV (Reuters) – Ukraine will probably miss its target to boost foreign currency reserves to $21.6 billion by the end of 2018 because of delays in securing new aid from the International Monetary Fund, a Reuters monthly poll of analysts showed on Wednesday. The reserves may grow only to $20 billion from the current $18.1 billion, provided the central bank continues to buy currency on the local market where exporters have to sell half of their revenue, the poll said. The poll comprises the median forecast of analysts at 14 Ukrainian banks and brokerages. The central bank is looking to gradually increase its reserves while keeping a flexible rate policy, which it agreed to do as part of the IMF’s $17.5 billion bailout program. The central bank expected regular disbursements of IMF to be the main way of boosting reserves but a slowdown in reforms means Ukraine has not received such aid since April 2017, thus also weakening its chances of borrowing on capital markets. Parliament on Thursday is due to vote on legislation to establish a special court to try corruption cases, a key condition for more IMF aid. But it is unclear whether the current version of the bill will pass muster with the IMF. Prime Minister Volodymyr Groysman has formally asked parliament to dismiss Finance Minister Oleksandr Danylyuk after a public spat, which could also cloud Ukraine’s negotiations with the IMF.